Bigfoot Day in Clearfield speaker Fred Saluga explains his view that there are three groups of Bigfoot enthusiasts. There was a strong UFO theme at the Bigfoot Day gathering in Clearfield, Pennsylvania. Fred Saluga (pictured above) categorizes Bigfoot enthusiasts into three categories. Below is a snippet from an article by Marcus Schneck of PennLive.com, where you can read how Mr. Saluga categorizes the bigfoot enthusiasts. 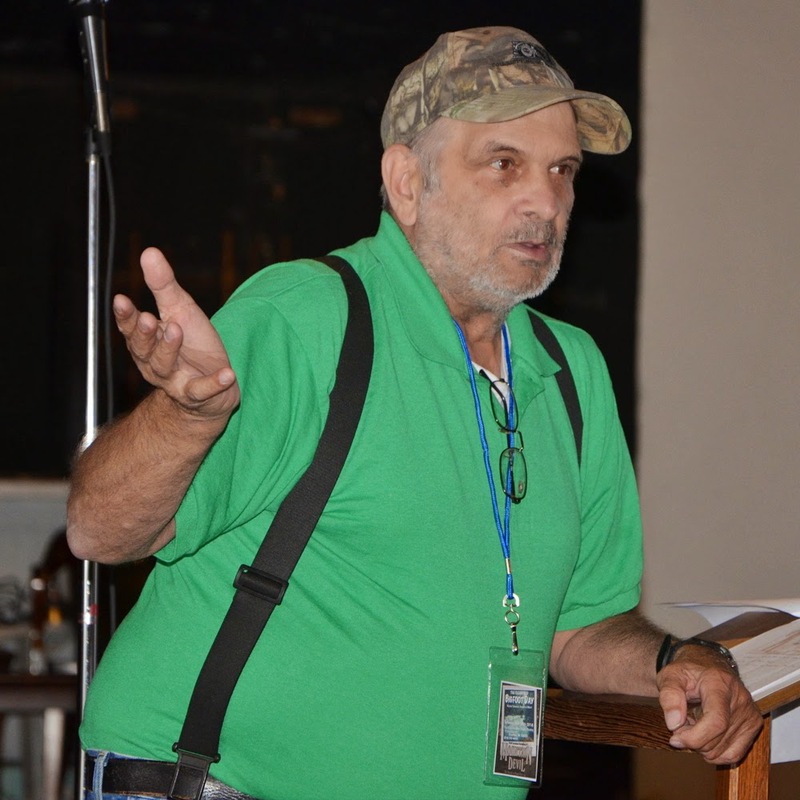 Wide-ranging views on Bigfoot converged on Clearfield in northcentral Pennsylvania on Saturday, as about 50 Bigfoot enthusiasts and investigators gathered at the Clearfield Arts Studio Theatre for Bigfoot Day in Clearfield. Saluga said, the second group thinks Bigfoot "dwells in extraterrestrial origin," travels interdimensionally and has UFO or non-Earthly ties. And, the third group believes the Bigfoot types envisioned by the first two groups are two different creatures. "I think he's a creature from another dimension," he said. "He can come through whenever he wants, and he becomes like us, flesh and blood." For Saluga that explains why Bigfoot is not susceptible to diseases, infections and the like; never has been wounded by people shooting at him; and can simply walk away from or disappear from collisions with vehicles. You can read the rest of the article at PennLive.com titled "Bigfoot Day in Clearfield draws enthusiasts and investigators with differing theories on Bigfoot"